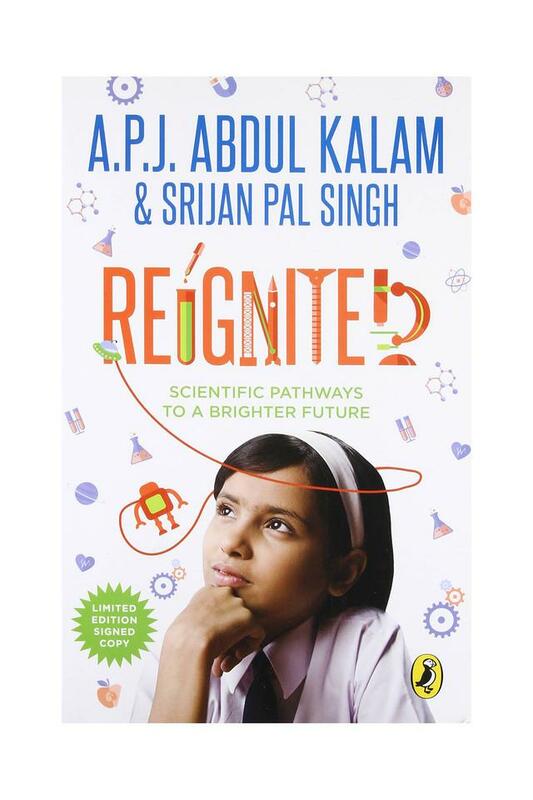 Reignited: Scientific Pathways to a Brighter Future by Dr. APJ Abdul Kalam and Srijan Pal Singh talks about the variety of options available for the children who want to pursue science as a sphere of their study. 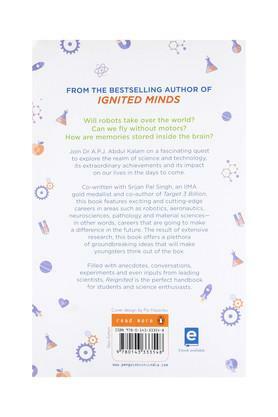 This book goes onto explore the options of robotics, neurosciences, paleontology and other fields which may be able to create a better world for the future generations. The research done for the compilation of the book is comprehensive and provides readers and students with a whole world of ideas by relating stories of famous scientists all over the world. With a reader friendly Question Answer format and eye catching illustrations, the book provides the readers with a clear diagrams and easy to understand writing style. Also, the interestingly created chapter titles make this book an interesting read. 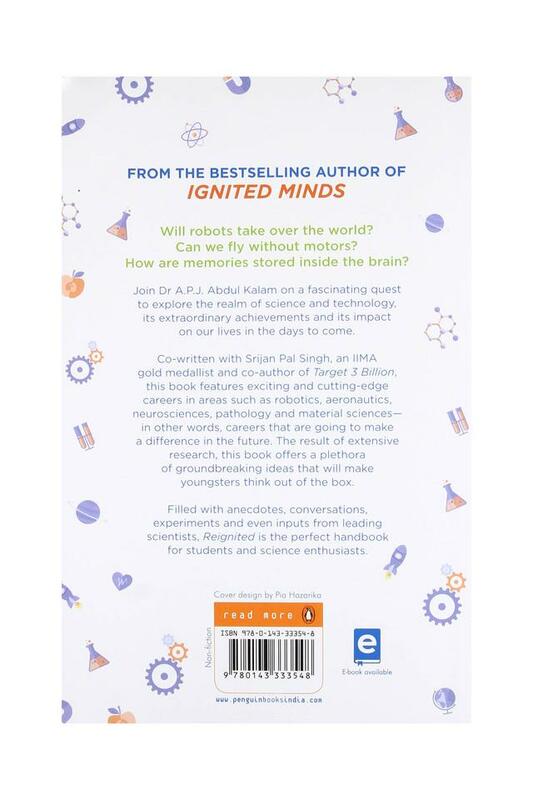 Any individual who is interested in science or has a scientific bent of mind will surely find this book enjoyable. 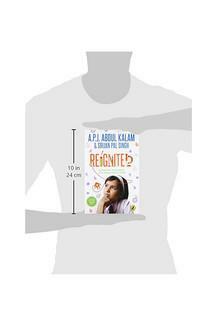 About the author: Dr. Avul Pakir Jainulabdeen Abdul Kalam, was the 11th President of India and a scientist who worked to improve the missile program in India and also pioneered a number of space programs by ISRO. He also was involved in the nuclear tests in Pokhran for which he gained the title of 'Missile Man of India'. Srijan Pal Singh has worked with Dr. APJ Abdul Kalam during the former's term as President of India and promoted assignments such as "What Can I Give Movement" that involved providing urban amenities to rural areas and energy independence for the nation, nuclear and space mission respectively. Mr. Srijan Pal Singh has worked in the corporate industry as a Management Consultant with Boston Consulting Group and worked with World Food Program in order to improve the government's working and ensuring transparency in the Public Distribution System in the areas affected by Naxals in Orissa. 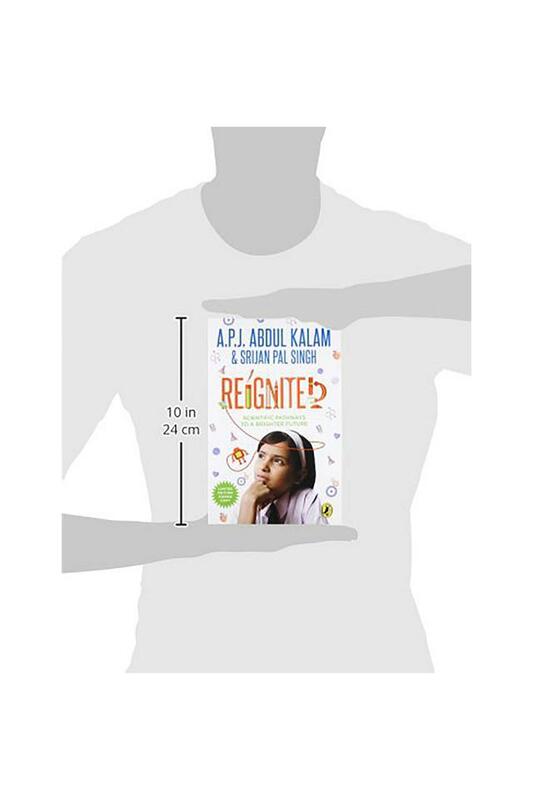 He has also been awarded the IIMA Gold Medal for best all-rounder student batch in the year 2009.A Children's Bookshelf Selection: Each month our editor's pick the best books for children and young adults by age to be a part of the children's bookshelf. These are editorial recommendations made by our team of experts. Our monthly reading list includes a mix of bestsellers and top new releases and evergreen books that will help enhance a child's reading life. A.P.J. Abdul Kalam is one of India?s most distinguished scientists, responsible for the development of India?s first satellite launch vehicle and the operationalization of strategic missiles. The President of India between 2002 and 2007, Kalam has been awarded honorary doctorates from thirty-eight universities and the country's three highest civilian honours?the Padma Bhushan (1981), Padma Vibhushan (1990) and Bharat Ratna (1997).. Srijan Pal Singh is an engineer and management graduate from the Indian Institute of Management, Ahmedabad. He was with the Indian Institute of Space Sciences and Technology (IIST) where he directly worked with Kalam as a scientific advisor.